Transparency renders glasswing butterflies elusive as they appear and disappear in the dense forest undergrowth. 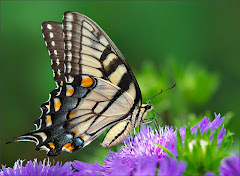 Their wings lack the covering of scales that give other butterflies their distinct coloration. 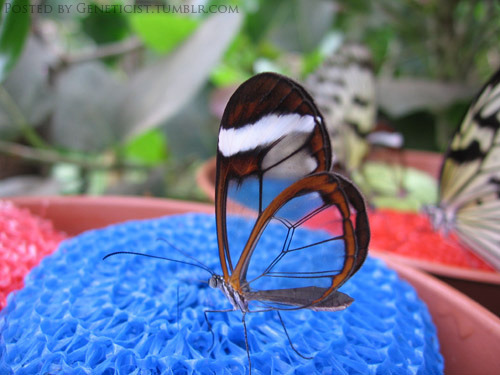 This one was apparently photographed in a butterfly house, because it is perched on a porous pad that would be placed above a sugar/water solution. Many more pix here. Photo found at Geneticist, via Titam et le Sirop d'Erable.